As promised my scouting adventures continue, this time including mythical creatures and cursed weddings! About 40km away from my home, there is a small village called Nymfopetra. 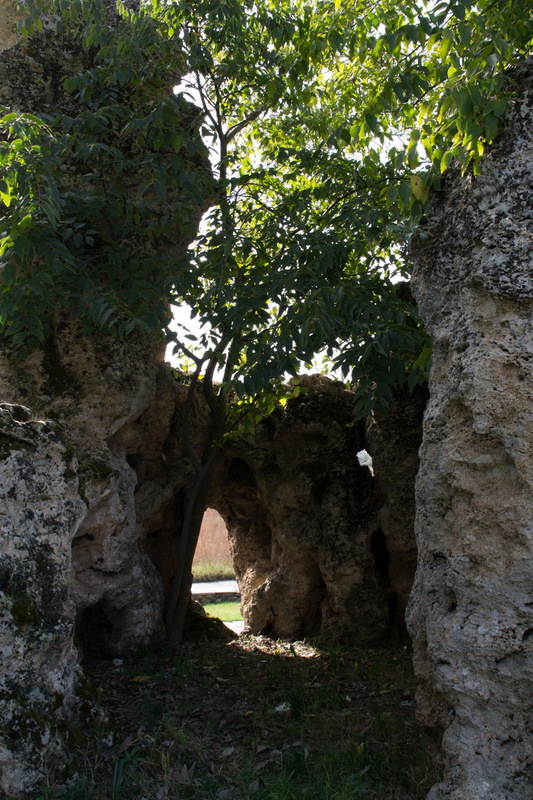 The name (which translates “Stone of the nymph”) was given to the village because of some strange rock formations that exist there. I don’t know why I had never heard about it before, but as soon as I stumbled upon it on the internet I knew I had to go there. 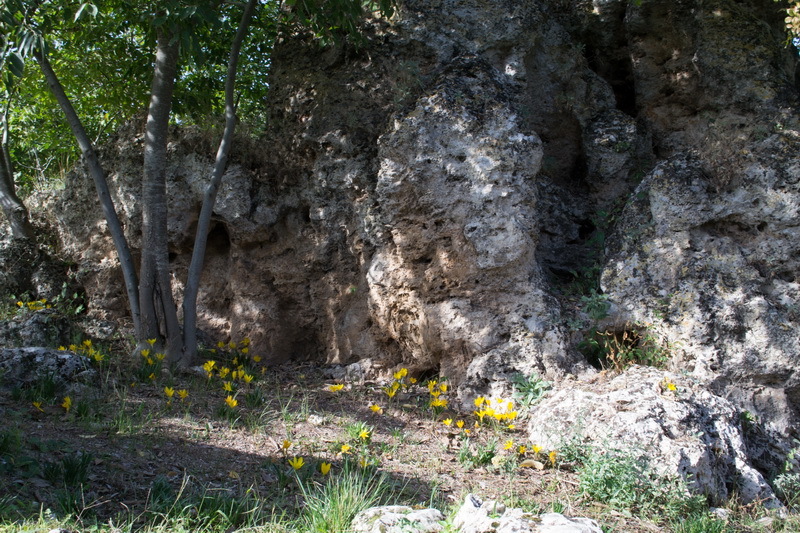 Especially when I found out about the myth surrounding the place. Legend has it that once upon a time a group of hunters came across some beautiful forest nymphs who were taking their bath in a lake. The men hid there to watch them but by doing so they infuriated the goddess of the hunt, Artemis, who turned them into stone for their disrespect. However there is also another myth, about a wedding that was not meant to be. On her wedding day a young arrogant girl, took all her mother’s belongings for her new home, leaving her with nothing. While the bridal company were on their way to the wedding, the mother realised what her daughter had done and she cursed her, turning everyone that was with her into stone. Blood wedding indeed! Of course there is also a scientific explanation, something to do with sandstone rocks, but who cares about that? I say myths are way more interesting. 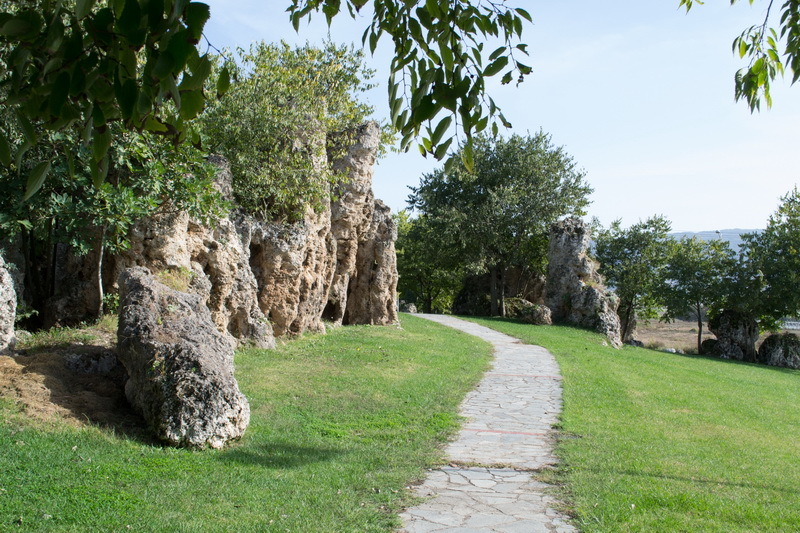 The rocks are at the edge of the village and the surrounding area has been turned into a lovely little park. When we got there, there was no one else around, despite the fact that it was a beautiful Saturday afternoon. I suppose there are not a lot of people who know about this place. I think it’s a great place for a quick trip and most of all it is a great place for a photoshoot! Don’t you think?